Located in Greenville, SC, Rozelle Stone Company has served its clients in South Carolina, North Carolina and Georgia for more than 20 years. We have installed thousands of stone projects – large, small, simple, complex, residential and commercial. We bring the highest degree of commitment to each project. 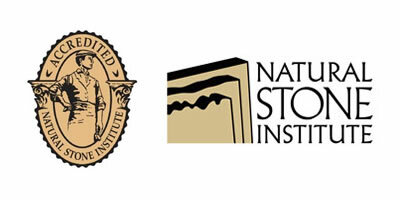 We are one of only three companies in South Carolina – and one of only 32 companies nationwide – to be named an Accredited Natural Stone Fabricator by the Natural Stone Institute. In earning this distinction, Rozelle Stone Company has demonstrated expertise in stone craftsmanship, a true concern for worker and customer safety, and a dedication to business ethics and sound business practices, which places us among the upper echelon in the stone industry. The NSI Accreditation seal means peace of mind, from the selection of the slab through fabrication, installation and beyond. Our creed is “Certitudinem Eventus”- meaning certainty of outcome. Rozelle Stone combines tradition and technology to achieve certainty of outcome.